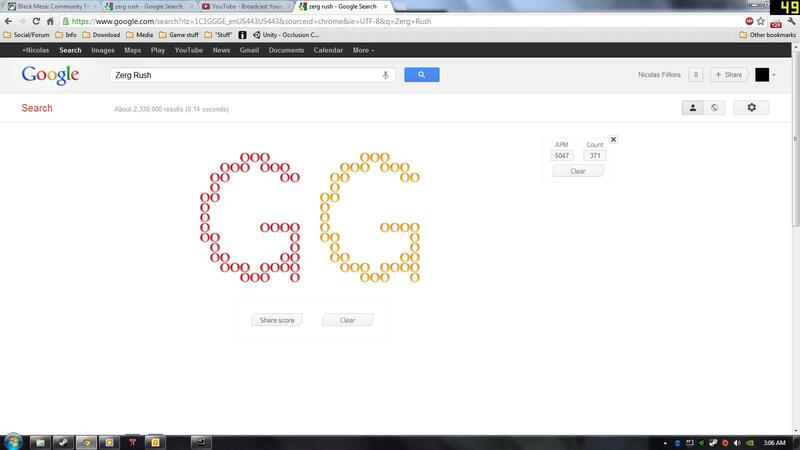 Type - 'google gravity' in Google Search Bar. Click on URL of first search find - it will have 'mrdoob' in the url. You can also put something in the 'gravity search bar'. click on the O's to destroy them.